Love it !! Looks great in our nursery, we can’t wait to see the rest of our purchased items and see it all come together. We are so very excited. Great prices This user was entered into a sweepstakes after submitting their honest review. Dimensions 60in. x 84in. x .25in. 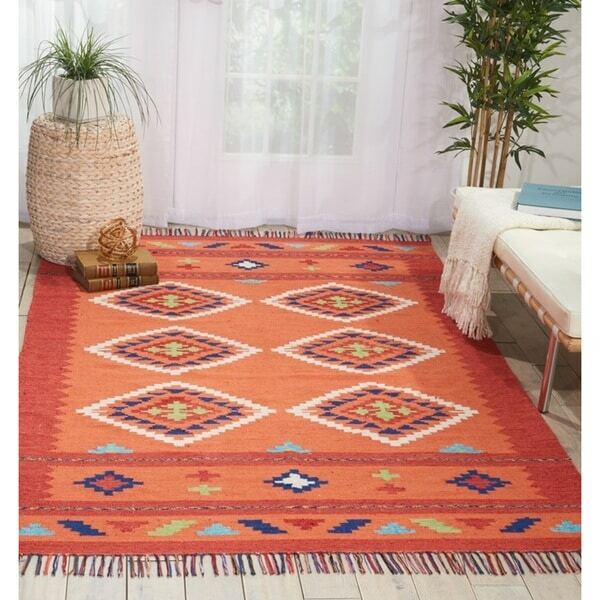 FLAT WOVEN, COLORFUL RUG ADDS FLAIR AND STYLE TO ANY ROOM! WILL NOT DISAPPOINT. Color was completely different than advertised on the site. Material seems to be of fairly poor quality as well. 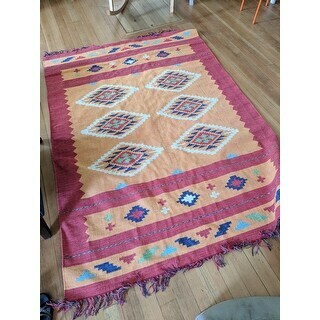 I'm pretty disappointed as I've been excitedly awaiting this rug for several weeks..